It's only 3 minutes from the station! Centre of Sapporo city! Walking distance of grocery stores, convenience stores, restaurants! Tourist spots are right there! There's Wi-Fi. 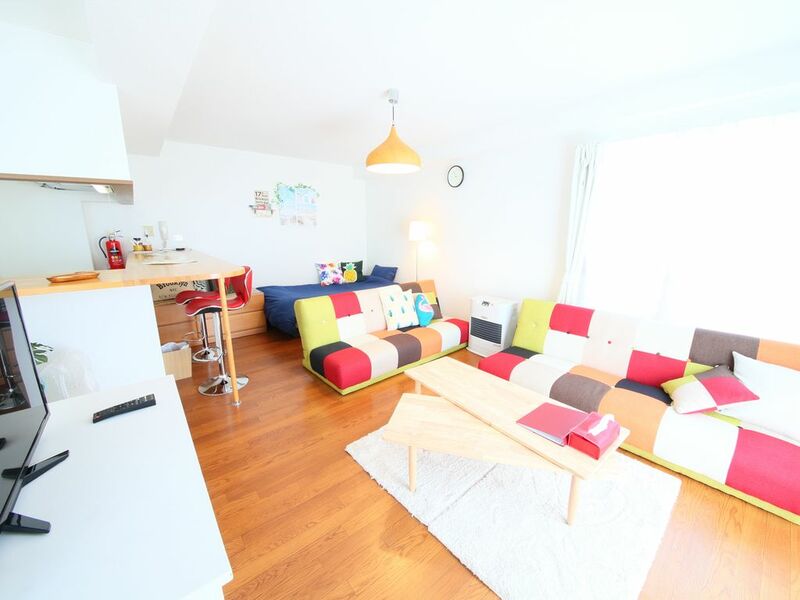 The 3rd and 4th floor are merged into one spacious area, which is comfortable and modern designed!! Please enjoy the cozy room. The room has three relaxing sofa beds, a fashionable wooden table and a dining table. The kitchen is partitioned, so you can enjoy your meals in a relaxed atmosphere. There's more privacy because each washroom, shower room and bathroom are individual. It's only 3 minutes from Kikusui station to the room! Walking distance of convenience stores, pharmacies, grocery stores and restaurants. Centre of Sapporo city, Tokeidai tower clock, Sapporo TV Tower, Shiroi Koibito Park, Sapporo Dome baseball park, Odori Park, Susukino, Sapporo Beer Museum, Tanukikoji, Kutchan, Niseko, Otaru, Asahikawa, etc. You can go to these places by train!! The room is located in a very convenient location. Recommended! There are two single beds and three sofa beds. It suits a couple, family or group of up to 5 people. Theres a portable Wi-Fi device which is fast and has no limit for data. You can use it as much as you want. The speed is fast!. Please return it after you are finished.